Consumers see reviews almost every time they search. From finding businesses nearby to planning itineraries for upcoming trips to looking up a forgotten phone number, we plug keywords into Google to help us with anything we want to know. And if we want to find out how one business compares to another, we Google to find out about other people’s experiences. Getting Google reviews is a simple, effective and cost-efficient method to build brand trust and rank high in the Google search results page. 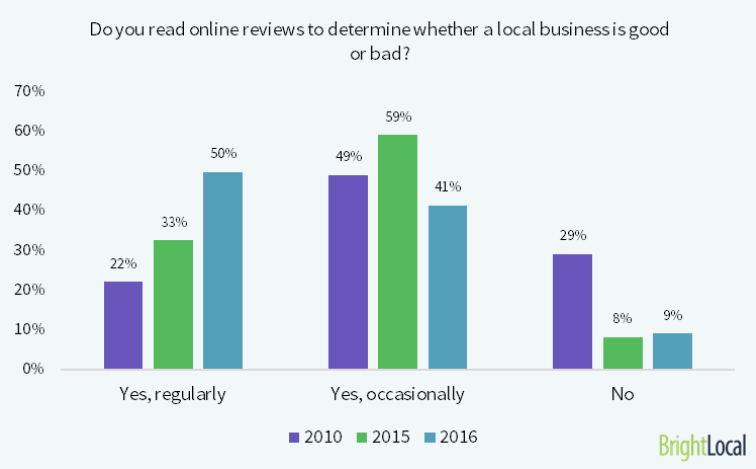 Google is where a lot of your potential customers see your business first, so having reviews improves your chances of getting users to pick you. Positive reviews will trigger clicks through to your site. A high click-through rate, coupled with good reviews, will act as trust signals to the algorithm, so your website will be featured towards the top of the results page. This will in turn increase traffic to your website and, depending on your content and calls to action, can lead to a higher conversion rate. Your Google reviews will also influence your presence in the Local Pack (a list of businesses near the location of the search).